Really liking the podcast. 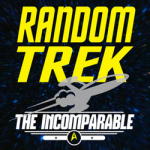 A life long Star Trek fan who will will turn on Netflix and ask “Dang, which series, which season, which episode?” Great way to re-visit them and catch ones I never knew I missed. Keep on Trekkin’.